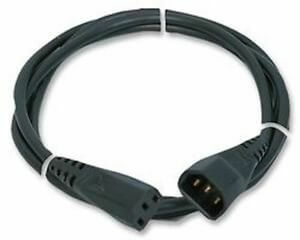 IEC extension leads consisting of a moulded 3-pin CEE 22 10A shrouded plug and socket on either end of 3-core BASEC approved cable. Rated 10A @ 250Vac. Black PVC mouldings and cable sheath.